The blue skies on our walk back from nursery this afternoon were spectacular! Loving getting outdoor time again so that Aaron can be the country kid he is built to be! those blue skies are gorgeous, It has been very nice today! I have been noticing daffodils around - lovely! I have been waiting eagerly for spring! Harry adores picking daises too! It's been such a lovely day today I couldn't help but feel a bit sad that Harry had nursery, I wanted to take him out! So lovely to see the sunshine at last. Gorgeous photos and so many daisies! We see lots of pretty primroses on a bank on our walk to school. beautiful photos, it has been lovely leaving my coat behind this week! Awww Aaron is so big now!!! We are so happy spring is peaking through - It makes things seem so much better. What lovely pics! Miss J is currently asleep on my lap but when she wakes we're going daisy hunting! Wow, just look at that sky. Oh how I wish we had similar! 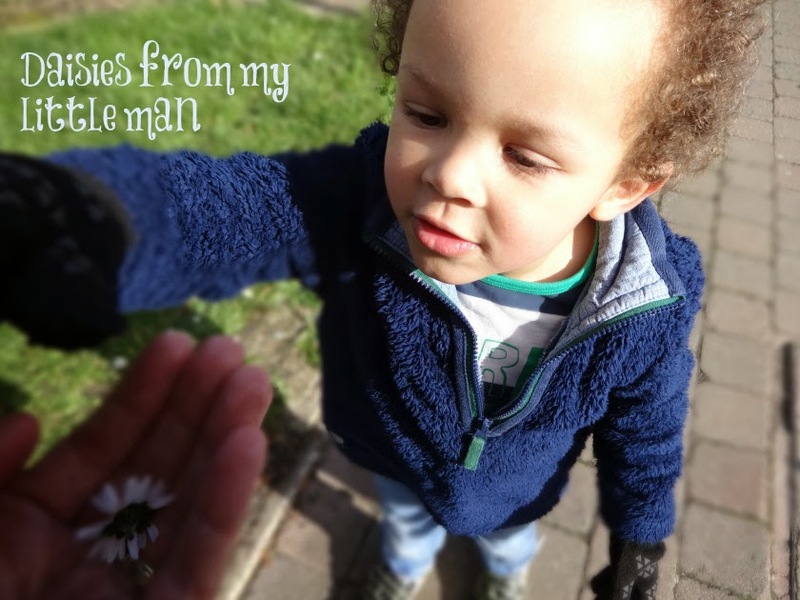 Lovely pics, my little boy always pics me daisies too. 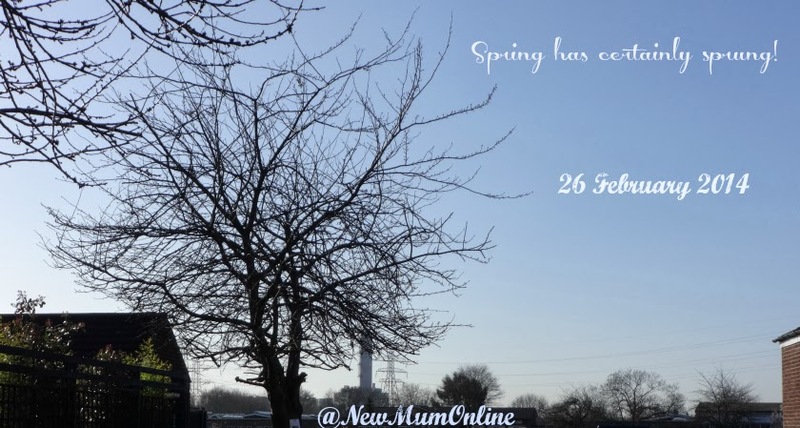 It's such a refreshing change to see the beautiful clear skies and the dry weather! 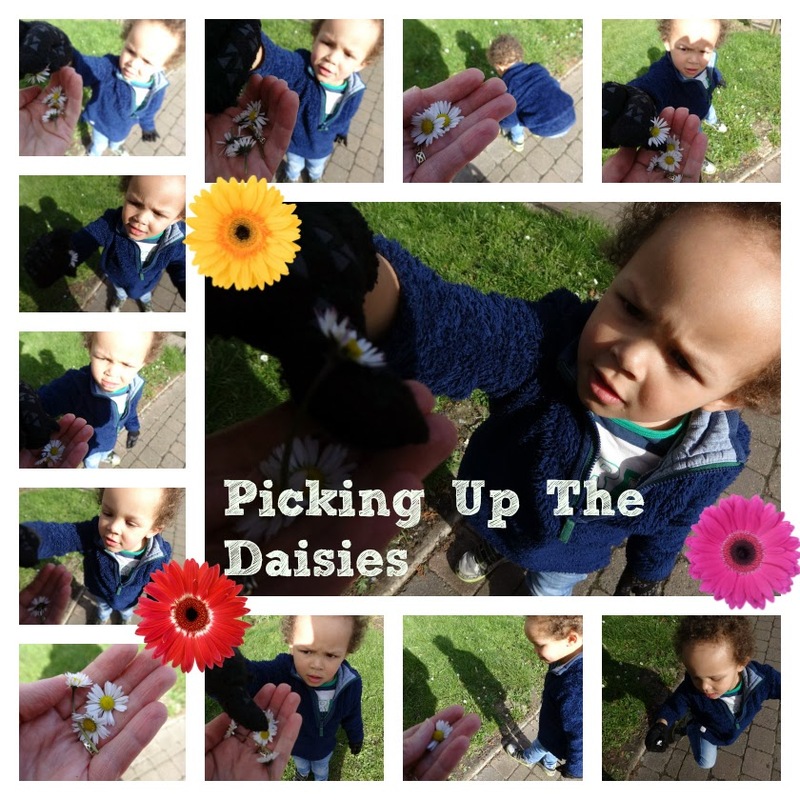 Lovely photos of Aaron enjoying time outdoors picking daisies and enjoying some sunshine. Thanks for linking up and sharing with Country Kids. I can't believe how many daisies are out everywhere ... and to think this time last year we were just about to disappear under several feet of snow! Beautiful photos. Daisies are always a lovely find and nice to finally see the sun.